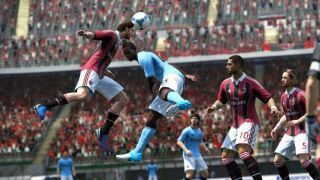 EA Sports Mike McCabe has explained that bringing the Fifa 13 experience to mobile phones remains a challenge, but that rapidly improving devices are making things easier. Speaking to TechRadar just after the launch of Fifa 13, McCabe – who has a background in mobile devices and is currently head of emerging markets and new platforms – explained that connectivity, rather than power was the key. "Before this role I looked after mobile for Asia Pacific and we had always tried to create those emulated versions of the big brothers," he said. "But it was very difficult, with limiting factors like the processing ability which has obviously changed dramatically: there are incredibly powerful processors in mobile devices now. "At one point there wasn't that level of connectivity and for us, the device being live is key in creating a sticky experience which keeps users engaged over a longer period of time." The rapid evolution of smartphones means that the gap between what is possible on a handset and on the current crop of now ageing consoles has never been narrower, and McCabe does not think that the forthcoming next generation of Xbox 720 and PlayStation 4 will necessarily create a new gulf. "I cant comment on what may happen in the future because we don't know where that will end up, but for mobile I don't think [updated console hardware] will create a wider gap for a few years. "So mobile is on a unique trajectory in that the connectivity means that it's basically creating its own ecosystem. "Some users may choose that as their sole experience and satisfy their gaming needs exclusively through that platform. Other gamers with a console will see it as an extension - it will be complementary to their experience. "So I think mobile is in a very solid position. Those two mechanisms will be an integral part of gaming into the future."